Hope you are going to have a festive few fun days ahead. My kids have carved their pumpkins, their costumes have been procured, candy bowl is ready (but out of arms reach) and my front porch looks festive enough to invite kids to trick or treat. 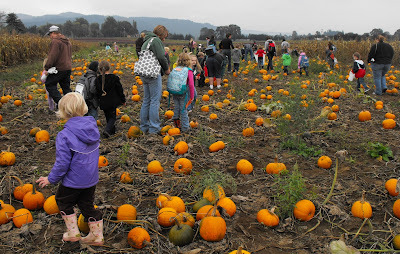 Earlier this month, the four year old and I joined brother bear and his kindergarten class for a day at the pumpkin patch. We had a fun day hanging out with the kindergarten class. 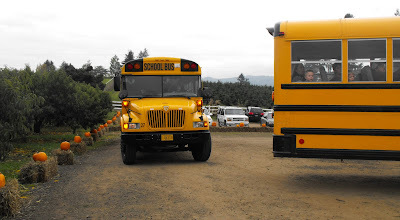 I think the kids made lots of happy memories. 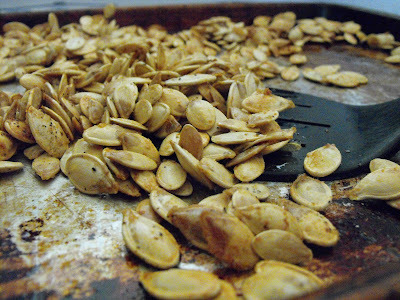 In the kitchen, roasting pumpkin seeds was a tasty event. 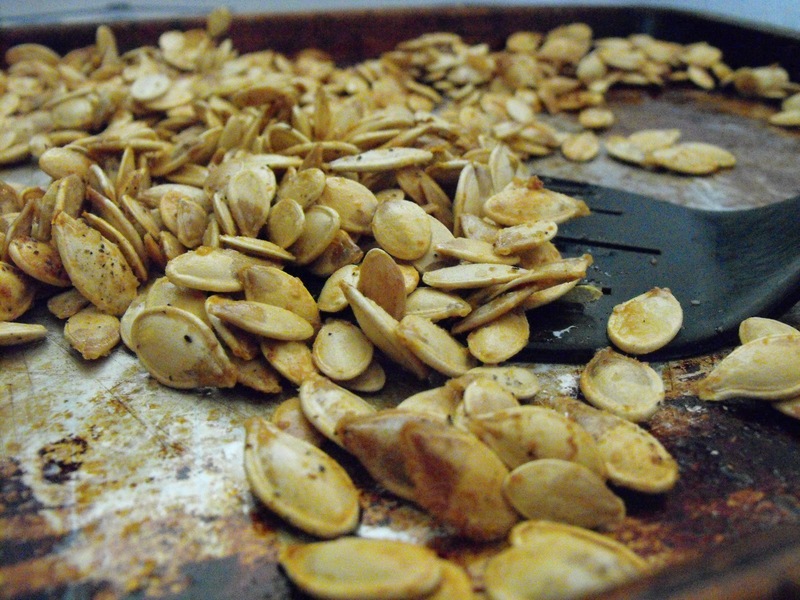 I got some assistance from friends on facebook to make yummy yummy roasted pumpkin seeds. After washing and patting dry the seeds, I laid them out on this lovely, well used cookie sheet and drizzled olive oil, then salt and pepper and then a powder garlic bread mix, as a substitute for plain old garlic powder. I roasted the seeds at 300 degrees for about 40 minutes. Wishing you a festive Halloween celebration! Looks amazing! Have a lovely weekend. P.S. I received the lovely earrings, thanks so much! They're gorgeous. Have a great day tomorrow (and night, too)! I should admit that we had more Helloween fun when our boys were younger! They are not very excited about it now, but they will sure go trick-or-treating! 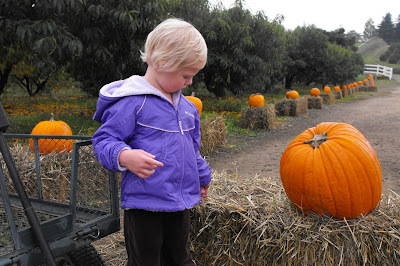 The pumpkin patch looked like a fun trip! I love pumpkin seeds. 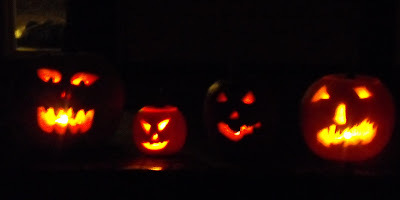 In fact, I should go dig some out of my pumpkins. Maybe tomorrow. Thanks for reminding me. Happy Halloween. 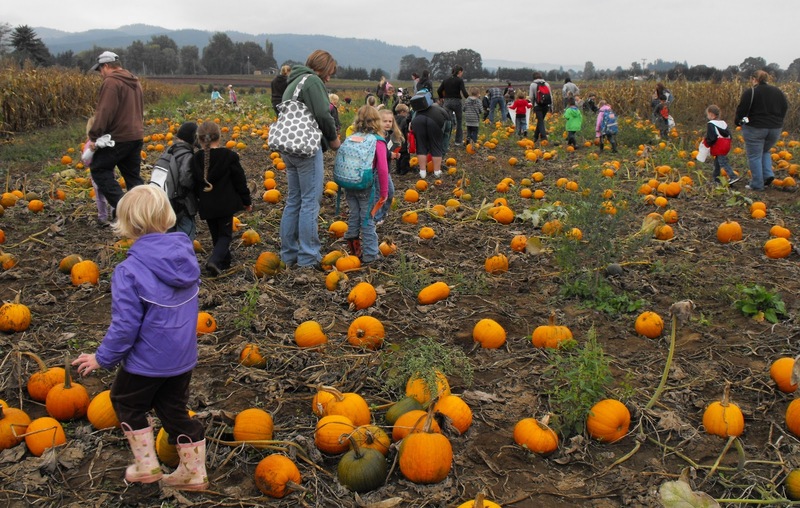 The pumpkin farm looks like so much fun. I'll have to take my two little girls there. I've been following your blog and really like it! 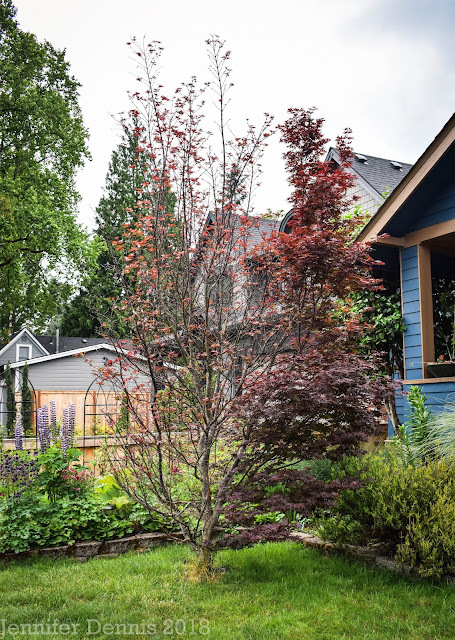 I recently started my own blog about my home gardening. Would you mind checking it out and letting me know if you have any advise for me? 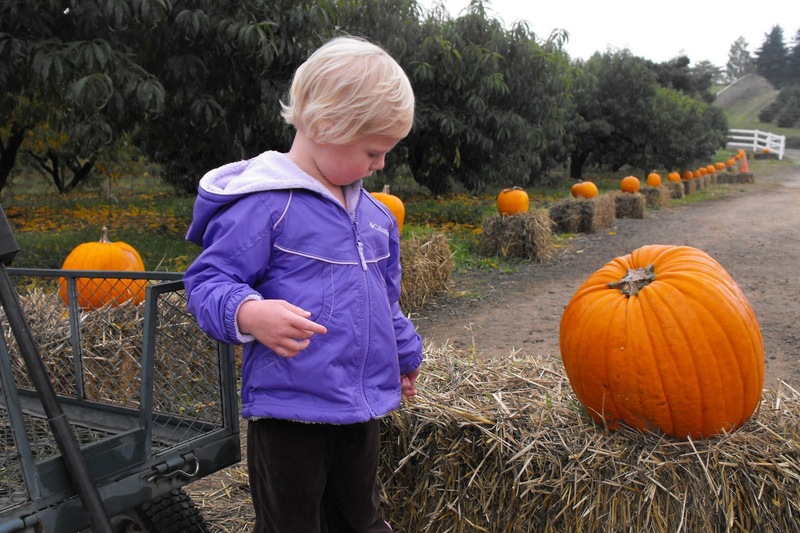 Hope Halloween was what you wished for - must admit it doesn't really register on my radar. It's really a child thing isn't it?